The Champion Sports Spring Loaded Steel Base Soccer Corner Flags offer flexibility and safe play on any soccer field. 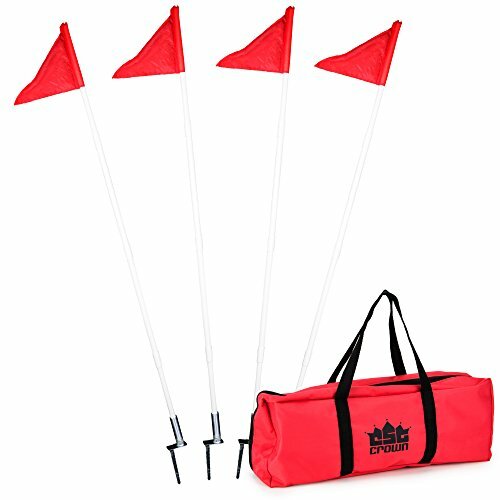 Featuring official red flags attached to a 1" plastic pole, this set of four corner flags is easily inserted into the ground with solid steel pegs and the spring loaded steel bases allow the poles to bend and bounce back upon impact. Highly Visible Corner Flags Stay in the game with this set of 4 highly visible corner flags! Featuring an internal retractable cord and a sturdy PVC base, these corner flags are lightweight, durable, and easy to setup. The steel spring allows for easy ground insertion and removal. When the game is all over, the flags are collapsible and can be toted and stashed away in the polyester carrying case. Why You'll Love It: Perfect for a plethora of team sports and practice drills, our standard size 5ft tall corner flags are easy to setup and stow away in crowded spaces. Use the carrying bag for easy transport and safe-keeping! 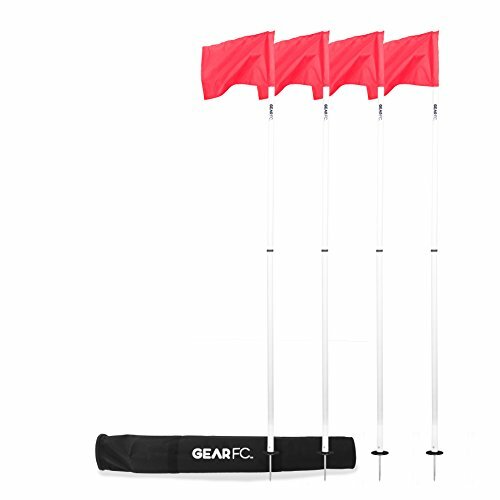 This set of four collapsible Gear FC Portable Soccer Corner Flags with a carrying case are everything you need to define the turf and start playing. The 5'3" poles are made of a lightweight, flexible PVC material which collapses to 3' for easy portability.The integrated spring design allows them to withstand impact while their steel stakes secure them firmly in grass or soil. The Universal Soccer Corner Flags from Champion Sports provide you with versatility allowing you to use them on multiple surfaces indoors and out. These red triangle shaped flags are held upright by a 60in plastic pole and feature a hollow base that can be filled with sand for maximum stability. Each set includes 4 corner flags with bases, so you can set your field up right. 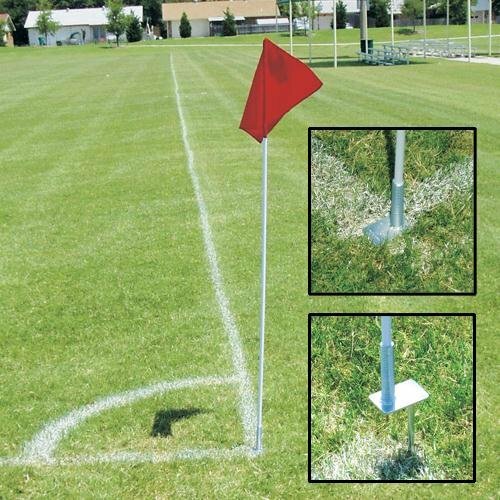 The Champion Sports Steel Peg Soccer Corner Flags are essential for marking the field at all your soccer games. 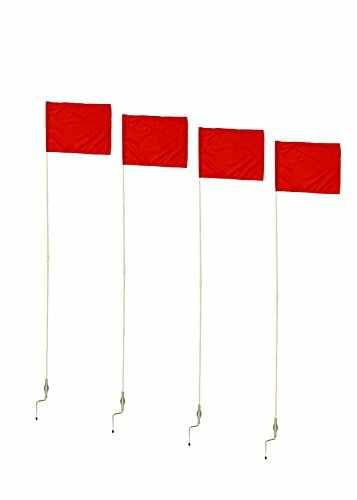 Made of durable 1" plastic, this set of four corner flags features official square red flags and solid steel pegs for easy ground insertion. Place ScoreMore 16 X 20in soccer targets in the corners (high-percentage regions) of the goal and maximize perfect shot placement. Bright ripstop polyester provides eye-catching visibility for engaging, long-lasting outdoor use. 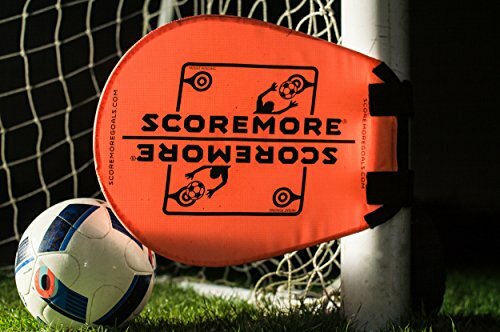 ScoreMore soccer targets can be securely mounted to any goal post with the wide style Omni Tape straps and robust plastic cinch loops. Durable polymer stiffeners sewn into the perimeter provide immediate snap feedback to show players they nailed the perfect shot. Corner flags > 60" H x 1" O.D. flexible white Lexan upright. Round steel base. The Champion Sports Spring Loaded Soccer Corner Flags provide you with the ultimate in versatility. You can use these flags indoors and out, on turf, indoor fields, and outdoor fields. Each flag includes a hollow base that can be filled with sand for stability. The spring loaded poles bend and flex when impacted. Each set includes four 60in soccer corner flags. Looking for more Soccer Corner similar ideas? Try to explore these searches: Disney Short Pjs Pajamas, Rolling Beverage Cooler, and New Oem Rear Brake. Shopwion.com is the smartest way for comparison shopping: compare prices from most trusted leading online stores for best Soccer Corner, Festool Charger, Eco Friendly Resin, Corner Soccer . Don't miss this Soccer Corner today, April 24, 2019 deals, updated daily.